As you may already know, I love cooking with my Instant Pot. With it, I can cook some warm and cozy meals without it taking up my entire day. When you cook with an Instant Pot, your food won’t necessarily be ready in an “instant,” but you’ll certainly feel like you have more time on your hands. Instead, you can spend that time relaxing with your family or doing whatever else you love to do! Below are two of my favorite Instant Pot recipes that I think are perfect for fall. I think they might become your new favorites, too. These recipes come together so easily with the help of Whole Foods Market! This properly combined recipe is a quick & easy meal when you use your Instant Pot. 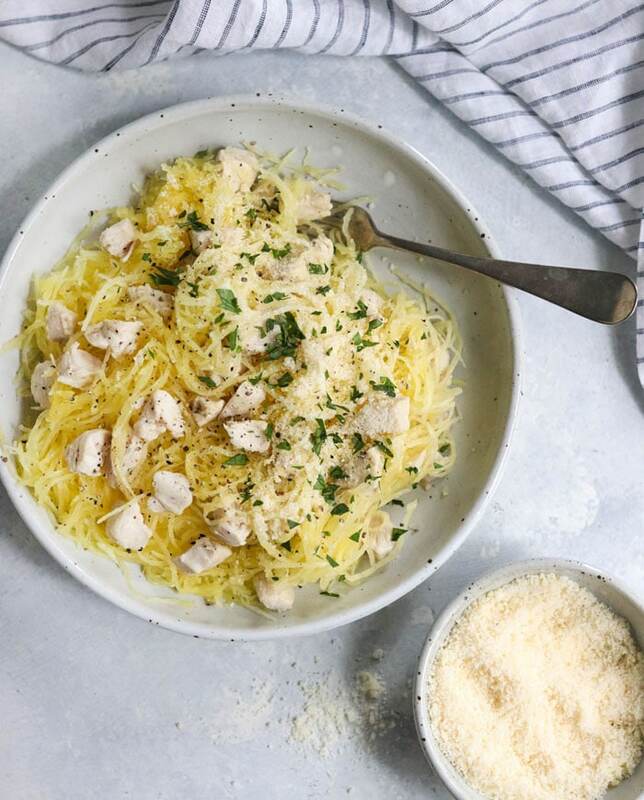 Traditionally, roasting a spaghetti squash can take 45 to 60 minutes in the oven, but in the Instant Pot it requires only a 7-minute cooking cycle. (Plus the time it takes to come to pressure, which is about 8 additional minutes). It doesn’t get much faster than that! 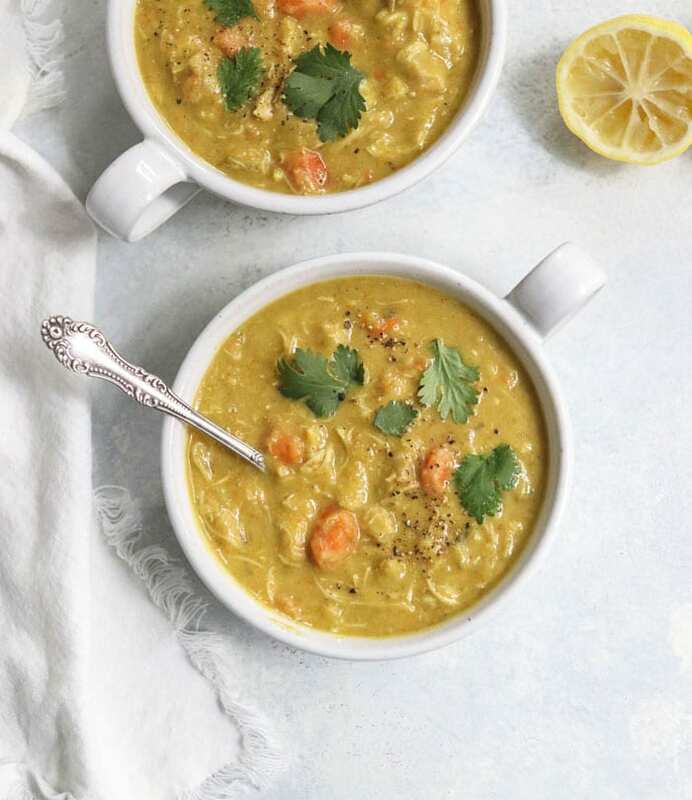 This recipe is adapted from The Fresh & Healthy Instant Pot Cookbook. Click here to get it over on the Whole Foods Market website! I love how quickly this comforting stew comes together in the Instant Pot. Protein-rich chicken thighs become so tender in this creamy and spicy stew that they will practically fall apart when the cooking cycle is complete! I hope you’ll enjoy these two new recipes for Fall! You can find even more healthy Instant Pot recipes in my new cookbook, and in my recipe index. 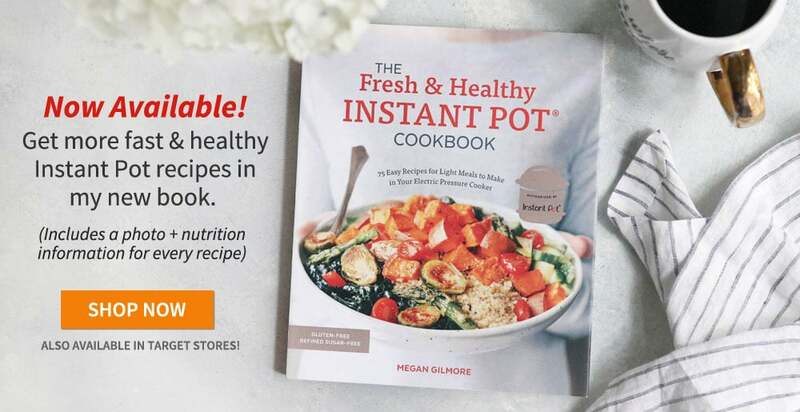 I just received your cookbook “Fresh & Healthy Instant Pot” from Amazon and I am thrilled. I’m trying so hard to eat healthy and this will really help. I am trying lentil minestroni today and creamy chicken and brown rice is next. Could you write another book please?? I made the curried chicken stew today. It was wonderful! Thanks for the yummy recipe!